Do you know how to auto forward Gmail ? .Nothing new for the web users Gmail is one of the most popular, free, best mailing services provided by Google. Gmail is not limited to a particular region as it is one of the widely used mailing services. But not only Gmail there are certain other free mailing services are also there like rediff, yahoo etc. it varies with peoples like some prefer Gmail interfaces, some may prefer yahoo. So what should you do to check the Gmail mails when you log in to the other mailing websites? 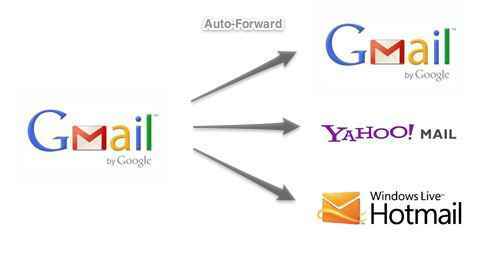 Don’t worry at all because Gmail fortunately provides the auto forwarding feature for forwarding the emails to the other desired mail addresses.So how to auto forward Gmail ? If you want to have a regular look at our Gmail mails then have a scroll down and follow certain steps. Logging in our Gmail account and clicking the gear icon at the top corner. Clicking on forward and POP/IMAP tab where you can set the desired address. Clicking on the button called “add forwarding address” and add the address where you want to send the mails. After the address section has been completed, a mail will be sent to the desired email address by Gmail for a confirmation code. This is an important step to open the address and copy the confirmation code with clicking on the link too. Pasting the verification code will verify the forwarding address. 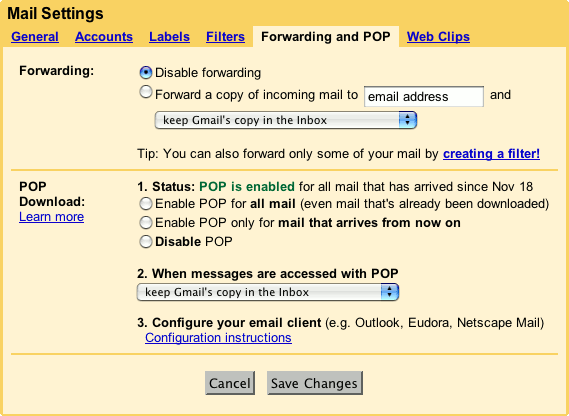 Enabling the “forward a copy of incoming mail to” option and also making sure you choose “keep Gmail’s copy in the inbox” from the below tab. You can also ensure filters so that you can forward those mails which you need to forward. Just clicking on the “creating a filter” link. From the said link you can create filter depending on the email subjects or other keywords. After all these steps above you must save your settings on clicking upon the “save changes” button located below. By following these few steps you can now forward your mails from Gmail to other email websites automatically while keeping them in Gmail also.You can also check my previous post how to change gmail theme.